A group of 5 to 10 to 15 or more. STMers have little to no skills that are specifically matched up to the needs of the local missionary. Often the STM team activity is driven by the needs of the team, rather than the needs of the local host. (Because of this) It is common that the work done by the STM team is more “make work,” that provides a sense of accomplishment for the team, and putting a strain on the local hosts, rather than helping the long-term programs of the long-term missionary. These traits commonly lead to the assumption that Short-term missions is really for the benefit of the STMers rather than the local missionaries or local hosts. But it doesn’t have to be that way. One way around it is the method used by the Mormons. Short-term missions is longer (commonly 2 years) with prior preparation. Still, from what I see here in the Philipines at least, it still looks to be highly inefficient— succeeding more from sheer numbers and back-home optimism. But is there the possibility of a short-term missions that makes sense on its own that doesn’t involve multiple years of work? I feel like several of our experiences with short-term missions has a better record than that. First. The Short-term mission teams are small. The largest team we ever had was 4. Most are 1 or 2. Consider the numbers. Suppose it takes $3000 per person to do a short-term mission, and suppose the team is made up of two people. The cost then would be $6000. The cost of a team of ten would be approximately $30,000. That is quite a difference— five times as much. But will the larger team be five times as useful? Probably not. Second. The teammember(s) have unique skills that the missionary needs. It might be technical skills, it may be academic skills, or special certifications. Franky, most skills that people bring already exist in the field. Third. The skills that STMers bring are ones that are specifically needed for the long-term ministry programs in the field. Fourth. The primary goal of the team is to increase the capacity of missionaries or local hosts. The goal is the transfer of skills and resources to the field. The goal is not to maintain dependency. Fifth. The STM team is driven based on the need in the field. This is implied by the above principles, but still worthy of note. Sixth. It is the responsibility of the missionary in the field to ensure that they (or designated individuals) gain from the STM trip. Far too often, groups come and go and nothing is changed because those in the field did not intentionally seek to gain long-term benefit from the trip, and do not seek to properly integrate it with the longer-term strategy. Note: I am NOT saying that all STM should be done this way. There is a place for “Encounter Missions.” There is a place for reminding ourselves that the church is multi-national and that we have brothers and sisters in Christ all over the world. There is a place for doing things that are not at all cost effective. But there are times when STM makes sense from the standpoint of long-term mission work in the field. My wife has asked me several times what I want for a Christmas. I am really not a gift person. Finally, I gave in to the fact that my cellphone needs to be replaced. It has had a big crack down the middle of the screen for over a year (some discoloration but still works), and a battery that lasts for shorter and shorter periods. I now have a new one that unfortunately doesn’t accept my SIM cards. But I am happy with it. Later I realized what I REALLY wanted for Christmas. 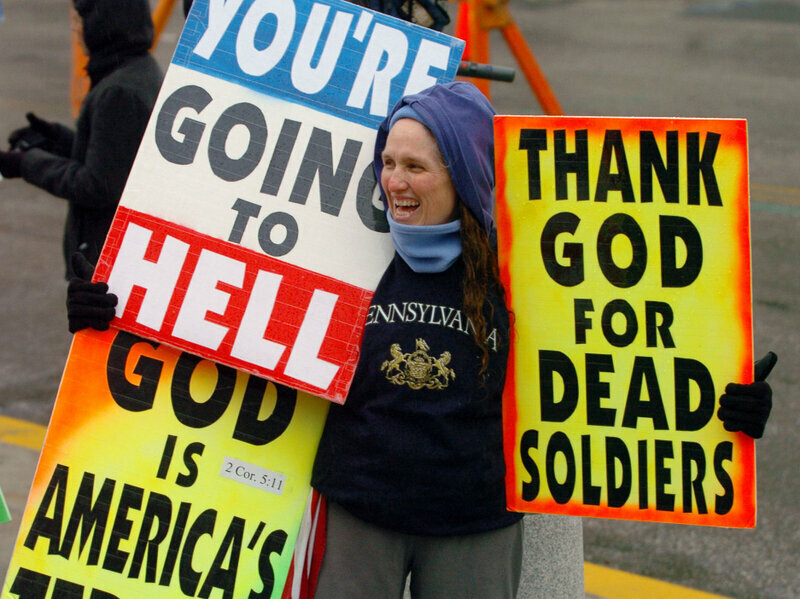 No, it isn’t “Peace on Earth, Good Will to all Peoples,” although that wouldn’t be so bad. What I really want is to finish my book. I have been working on my book “Dialogue in Diversity” for a year or two now. The first draft is done, and I have been SLOWLY editing it. But I realized that I really want to have it done for Christmas. I now have it fully edited and footnoted for the first 70 pages. But there is no way I will have it done by Christmas Day. HOWEVER, there are 12 days of Christmas, not just one. The Twelve Days are December 25th until January 5th. So my goal is to finish the book and get it online by January 5th, the 12th day. If that fails I can go with January 6th, Epiphany. To achieve this, I will do no more posts in 2018. This makes my 124th post this year and that is MORE THAN ENOUGH. I will ignore part of the article that looks at those who don’t sing a song because they don’t know the words. For me that is just kind of lazy. One may as well take the time to learn a new song once in awhile. Because of that, I will ignore reason #4, since my bigger concern is those who don’t sing because they do not like the songs. I find myself sympathizing with those who do not sing because they don’t like the songs, even though I USUALLY DO sing. That is because I found great freedom in recognizing that I had a choice to sing or not. Years ago, my family were members of a church in Virginia that had a great music program led by a very competent worship leader. But he had one specific quirk that I really struggled with. So many services he would have us sing, over and over and over, the chorus portion of “Surely the Presence of the Lord is in This Place” — a song with NO discernible merit. We would keep singing it and I would get annoyed. Over the weeks, my annoyance moved to humor. It was funny in away… like a person who can’t stop saying “Ummm” while talking (I have that problem). Then I moved to being analytical. I started going through each line. Every line was either untrue, obviously true, or trite (or a combination). Eventually, I moved from irrituation to humor to analysis and finally to anger. Why should I be held hostage by the worship leader and forced to sing a crappy song? But then one day I had an epiphany. I don’t have to sing. I can stand there, close my eyes, meditate perhaps, and just tune out the song. My attitude improved almost immediately. Since then my experience in worship services has improved immensely because I found that unity does not necessitate uniformity. And it goes beyond simply singing. When the worship leader says things like “Clap if you love Jesus” I don’t have to see it as cyncial manipulation, but as a simple suggestion. I can also NOT CLAP to show I love Jesus!! Looking at the reasons listed above (ignoring #4 as I said before) the one I have the biggest problem with is #3: “Some songs you don’t like are quite Biblical.” I am totally at a loss what to make of that. Eating is EXTREMELY Biblical, but I can’t see that it is wrong to skip a meal or go on a diet. A song that is strong in theology has a greater obligation to connect mind and heart than some pithy anthem. I can hardly see how being Biblical (or I would prefer theological) lowers the standards one places on a song. Probably the reason that bothers me next most is #6. “Singing with the rest of the congregation promotes and reflects unity.” It points to two issues that I have. One is the suggestion (that is so common in church) that unity implies uniformity. The unity argument has been used to argue against blended (style) worship, to argue for homogeous group churches, to require all members use the same Bible translation, to maintain certain dress codes or hair stylings, and more. More generally, it supports the idea that the majority (or the clerical minority) establishes the culture and the rest need to go along to “demonstrate unity.” The second problem is the general tone that BEHAVIOR IS WHAT COUNTS NOT WHAT GOES ON IN THE HEART OR MIND. In fact, it seems like a lot of the arguments have that as the unspoken assumptions. One could rewrite most of them to make the unspoken spoken. It’s right to sing God’s praises our way. Not singing our songs our way sends the wrong signal. We model going through the motions of worship for others when we sing as we are told. Singing with the rest of the congregation promotes and reflects uniformity of behavior that can be imagined to be worship. Singing encourages the ones leading the singing not to change a thing. Franklhy, I am not that radical. I dislike an awful lot of songs that are popular in the church today, but I usually sing. Commonly I sing to show unity with the congregation rather than for the sake of worship since singing really isn’t my form of worship. But there are a few songs that sabotage my church (read “worship” if that helps you) experience. (That song that has the chorus “Yes Lord Yes Lord Yes Yes Lord” is one that immediately comes to mind). In such situations, I feel that embracing my diversity within a unity that does not require uniformity isn’t so bad. And if the worship leader starts to question the wisdom of mimicking his favorite Hillsong videos (right down to every move and intonation of the lead singer), or rapidly supplanting old songs with new because— well— they are new, or generally turning the “worship” experience into a performance-based “spectator experience”…. hey that is not such a bad thing either, now is it? I know the counter to this is that if the congregants have problems with the songs, they should talk to the church leadership about it privately. Fair enough. But just as in church some people vote with their hands, some with their wallets, and some with their feet (regardless of leade’s preferences in this area), one should not be surprised if some vote with their singing voices, not just with their speaking voices. A child sleeps as armies clash. This killing for a piece of mud. Shared love and lives make the spirit lift. I would like to expand on a post I did 6 Decembers ago, “Christmas. It’s Okay, Really.” There are some, possibly ironic, reasons that Christmas is good as it is. It is at the right time of year. I know it is popular to say that the birth of Christ, as a historical event, probably happened sometime in the early Spring, but Easter is already located there. The exact date is not important since the defining feature of any annual festival (using the solar calendar) is that it happens at the same time each year, not the specific date (consistency over accuracy). Supposedly, the date for Christmas was chosen based on the belief of some that Jesus’ conception lined up with his death, so if you add 9 months to Easter you get the Christmas season. Assuming this is true then the date of Christmas was not selected to line up with Saturnalia, the ancient Roman pagan holiday. This actually would make sense since Christmas, well, doesn’t actually line up with Saturnalia. If it intentionally replaces a pagan holiday, why get the day wrong? With Christmas coming in the dead of winter (for much of the Northern Hemisphere at least) it brings a time of joy to the coldest and often dreariest time of the year. For those living in the tropics, don’t be fooled by Currier & Ives prints. The time where Christmas is placed can be pretty unpleasant with cold, damp, and dreary snow. I was raised in Western New York State. I know of which I speak. It is actually two holidays. Part of the reason that Christians get so stressed out at Christmas (one of many reasons, really) is the need to emphasize the “real meaning of Christmas.” The real meaning of Christmas is the birth of Jesus of Nazareth who came, sent by God, as redeemer, as teacher, as healer, and as example for mankind. That is pretty heady stuff. But there is another Christmas as well. That Christmas has a fat guy in red jammies who appears to abuse elfin folk and woodland creatures to give gifts to people around the world. Secular Christmas (sometimes referred to as “the Holiday Season”) is a celebration that happens on the same date as Christmas, but is something different. While many Christiams see it as competition (and in some ways it is), it can also be seen as a chance for Christians and non-Christians to celebrate together… one with more religious and one with more secular, but still coming together as families and neighbors. There is something right and good about that. event with mostly Semitic roots (with perhaps a few Parthian, Egyptian and Roman elements). But most of us are not Semitic (or Parthian, Egyptian, or Roman). It is nice that we can bring in our own cultural additions to them as well. The Christmas tree from Germany, or the Ceppo from Italy are nice additions. In our house when we were young we would have Swedish foods for our Christmas Eve smorgasbord with relatives as a reminder of our ancestral heritage. Here in the Philippines we have parols— stylized lanterns meant to remind one of the Star of Bethlehem. In Japan they eat Kentucky Fried Chicken, because—- well, who needs a reason? 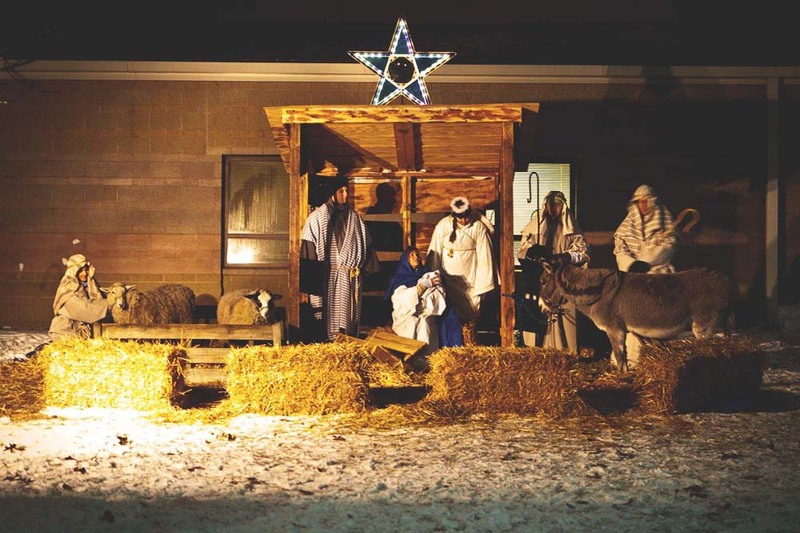 There is something joyous about a celebration that allows for gifts of one’s own culture, as well as other cultures, to be added to the early foreign gifts of gold, frankinscense and myrrh to celebrate the birth of Jesus. It is wildly over-the-top. Yes, I know that Christmas can be too much. Here in the Philippines, aspects of Christmas celebration start in September. Yes, there is too much consumerism. Yes, it can be tiring. And yet, there is something wonderful in the wild abandon. Here in the Philippines, Miso de gallo has already started where Catholic Christians get up in the middle of the night to go to church for many days. My wife talks fondly about these 3am services that she attended as a child. Here in Baguio, Christmas village and light displays have opened up, some with machines that pump bubbly foam into the air to simulate snow. 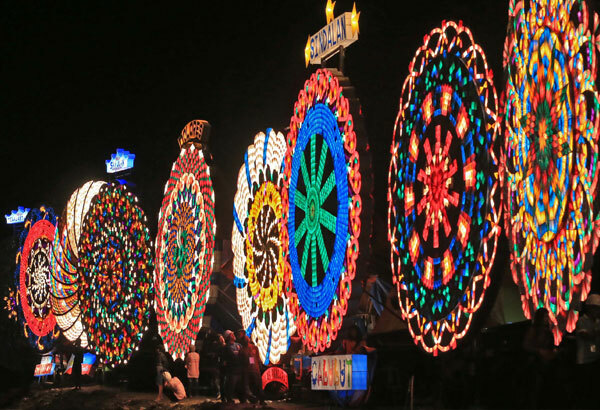 In Pampanga, they have the parol festival with huge starlike lanterns that are so big that they and their electrical generators must be transported on trucks, that compete for glory. In the US, people go crazy with more and more lights rivalling the Griswolds in the movie Christmas Vacation. Now, all of this seems bad. In some ways perhaps it is. I personally like things simpler. But in many countries where Christianity is a minority religion, Christmas is the easiest time for Christians to invite their neighbors to church, and the most likely time they will get a positive response. It is, in part, the wild revelries associated with Christmas that peeks their curiosity, much like Diwali in Hinduism or the Water Festival in some Buddhist countries. Anyway, whether you celebrate Advent, Christian Christmas and/or Secular Christmas, I pray you will have a season of peace, hope,joy, and love as you join with family and friends, and maybe church family. May you have a safe (international) New Years eve, and a quiet, but joyous Epiphany.